The European Cave Bear or Ursus spelaeus existed during two different ice ages and is one of the best known mammals of the Ice Age. It is believed to have evolved from the Etruscan Bear (possibly Ursus deningeri) and lived from 5.3 million years ago to about 10,000 years ago. The cave bear's lifespan is believed to have been 20 years or less. The name spelaeus was taken from the ancient Roman word spelaio meaning cave. It was given to Ursus spelaeus, because most of the cave bear's remains have been found in caves. The cave bear inhabited parts of Austria, Switzerland, Spain, France, Netherlands, Germany, Italy, Croatia, Greece, Poland, Hungary, Romania, Greece, and Russia. It prefered low mountainous forested areas. It is not known for sure whether they visited caves on a regular basis or if they used them only for hibernation. 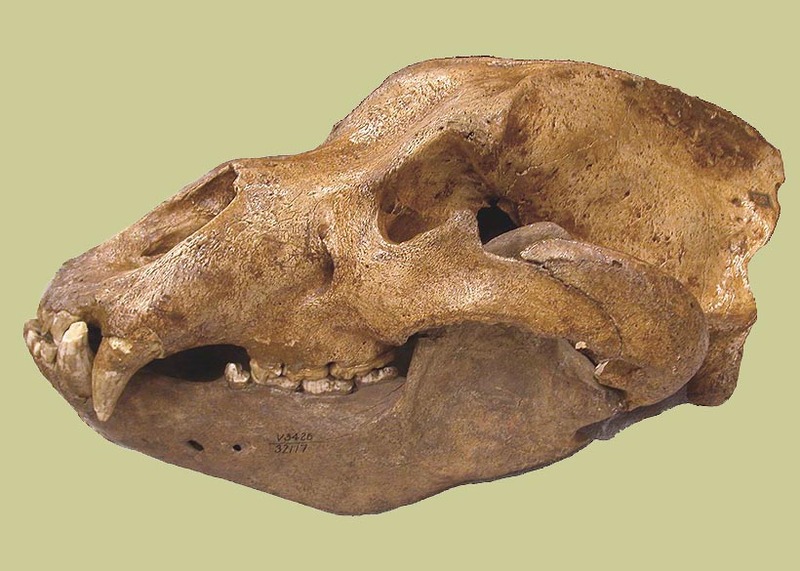 The cave bear had a heavily built body with a large head, domed skull, steep forehead, and small eyes. Male cave bears weighed on average from 900 to 1100 pounds with females about half that weight. However, overtime, cave bears varied much in size. They grew much larger during glaciations (ice ages) and then smaller during interglacials (between ice ages) to adjust to the climate. The build of its body was similar to that of a grizzly bear. Though studies have shown the diet of many cave bears had been mainly herbivorous, the reason for that is very possibly because of its prey having died off from the climate change. It may have also had to compete for food with other animals. 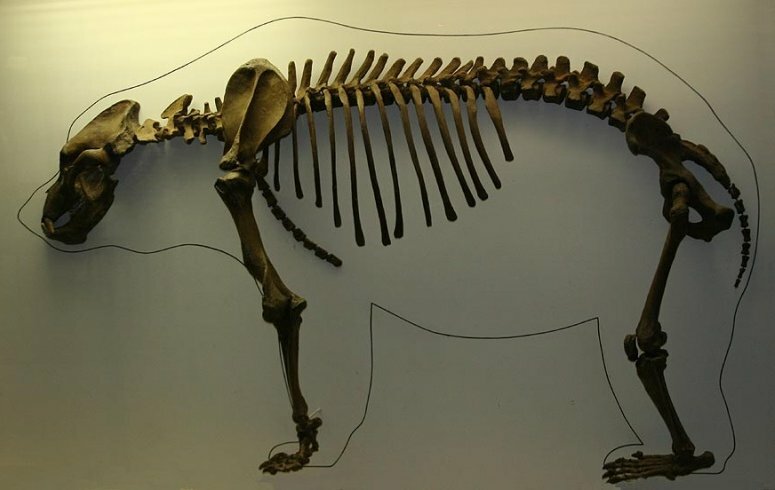 Most cave bears seem to have died off well before the Weichselian glaciation, but survivors lasted in parts of Europe up to the end of the last ice age. Timing suggests that the cave bear's habitat loss was due to climate change about 27,800 years ago, during the last Glacial Maximum. However, a combination of reasons are believed to have led to the bear's extinction. Many of the bear's remains have been found to be diseased. This could have been caused by a drastic change in diet forced on by the change in climate. The estimated time of the bear's extinction varies from 27,800 years ago to 8,000 years ago.